Black & White Murano glass bead necklace by Farfallina. 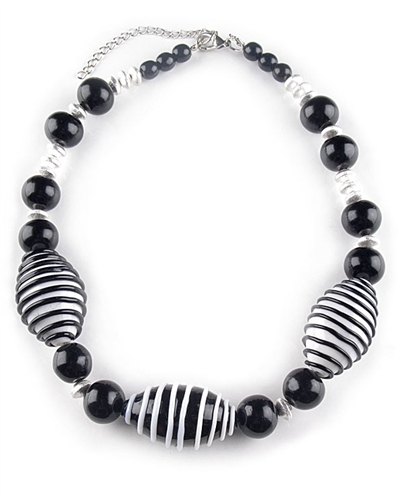 This chic necklace is made with black & white, black and silver Murano beads and is entirely handmade in Venice with precious Murano glass beads. Length: 45.5 cm / 17.9"